Steel - Polished and Plated or Bonderized and Prime Coated for Painting. 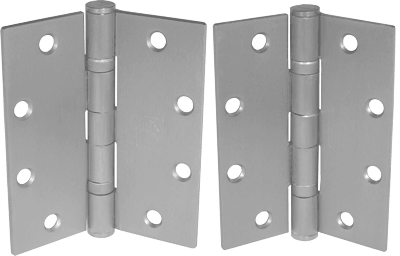 •For use on medium weight doors or doors requiring low frequency service. •Not for use with door closer. •For hospital type, add HT to suffix of part number. 12 unit carton or 36 hinges per master shipping carton.